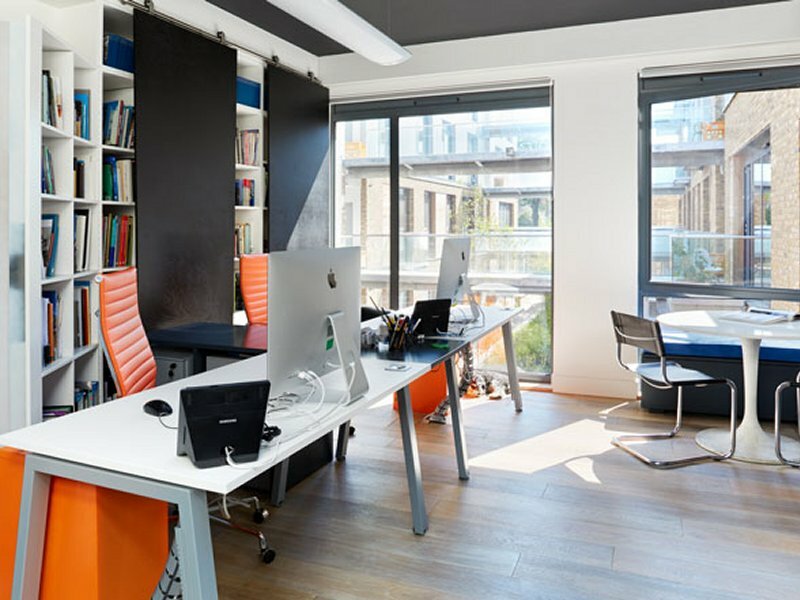 Design and fit out a new studio space for a growing practice of 20 architects. 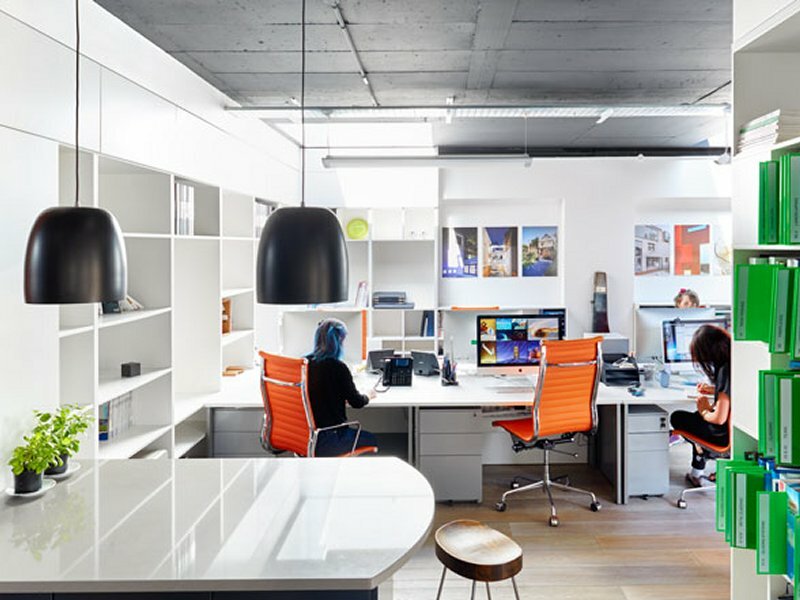 To design and fit out a new studio space for a growing practice of 20 architects. 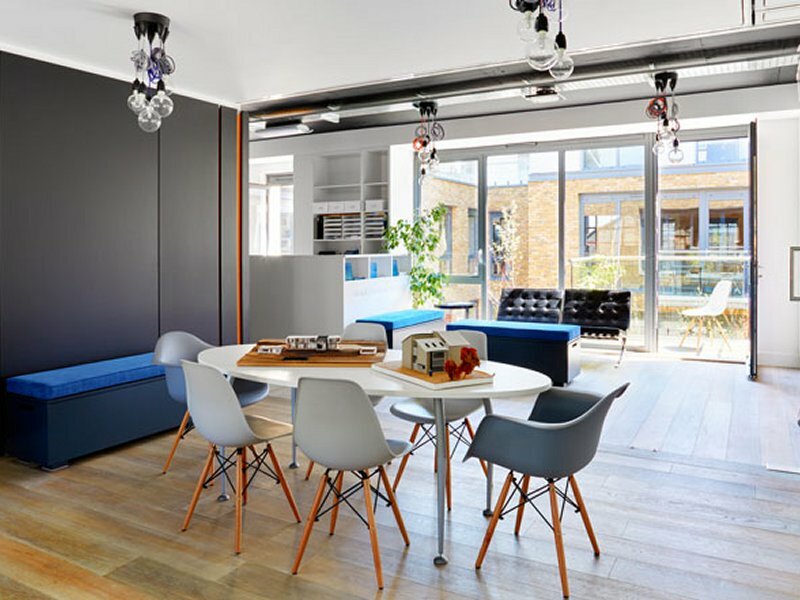 The 170sqm space needed to be open plan, integrated, flexible and adaptable. All of this had to be achieved on a tight budget. The budget made us creative in the use of materials and design. 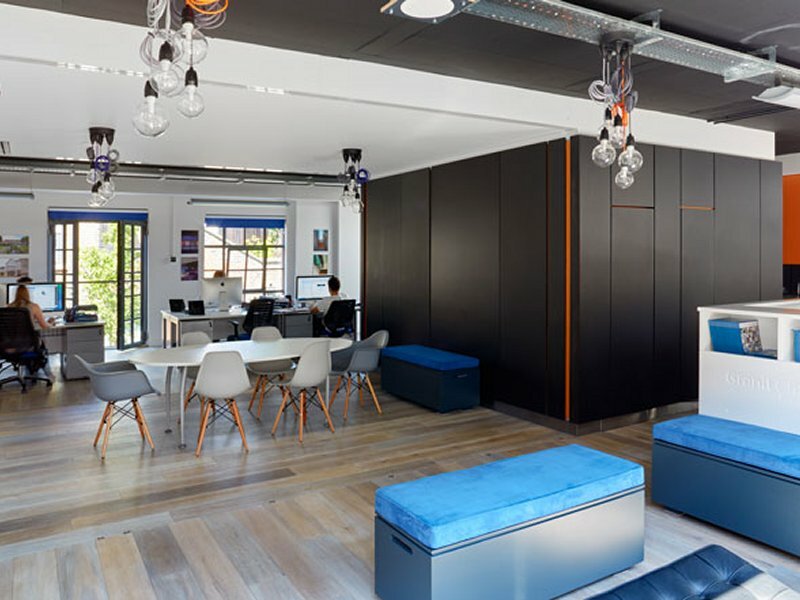 The need for flexibility means the only fixed walls in the office enclose the bathrooms and some storage, so we made this the feature of the office - viewing it as furniture within the space, rather than a fixed element. The black cladding is just stained ply - an inexpensive but effective option. 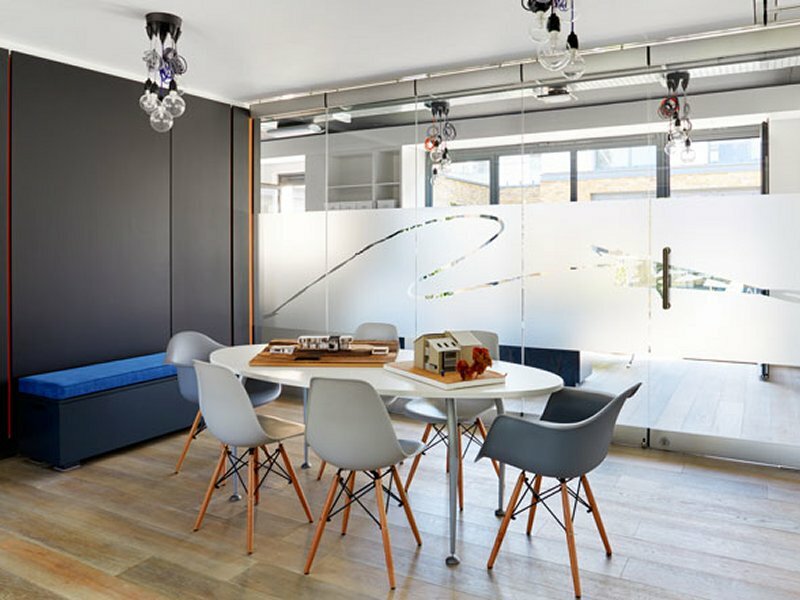 We often work with residential properties, converting existing spaces, so have experience in maximising small spaces and creating flexible spaces. And squeezing in a lot of storage! We were also able to implement a number of features we often get asked about by our clients - to be able to showcase them - so hopefully it will influence future projects. The office space is essentially open plan. 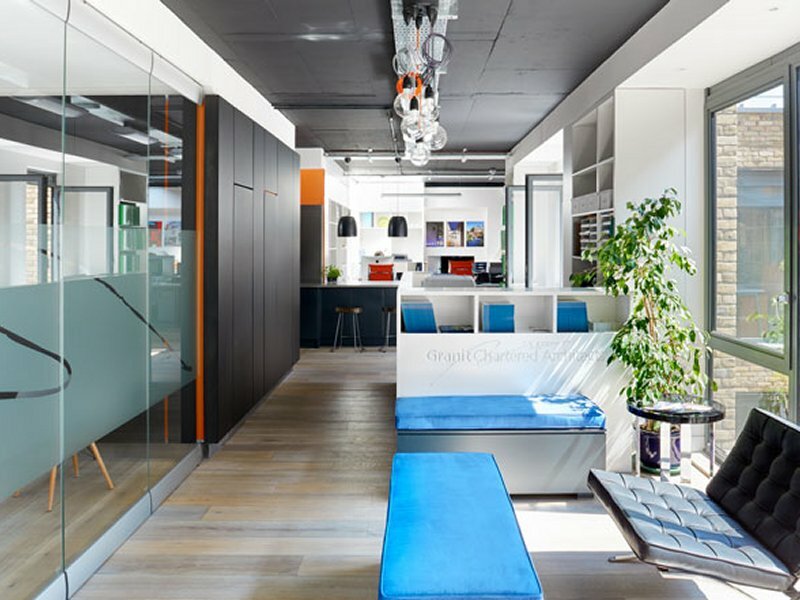 The public parts of the office, reception area and meeting room, are to the front of the space as you come in, and the more private areas (studios) are further into the space. 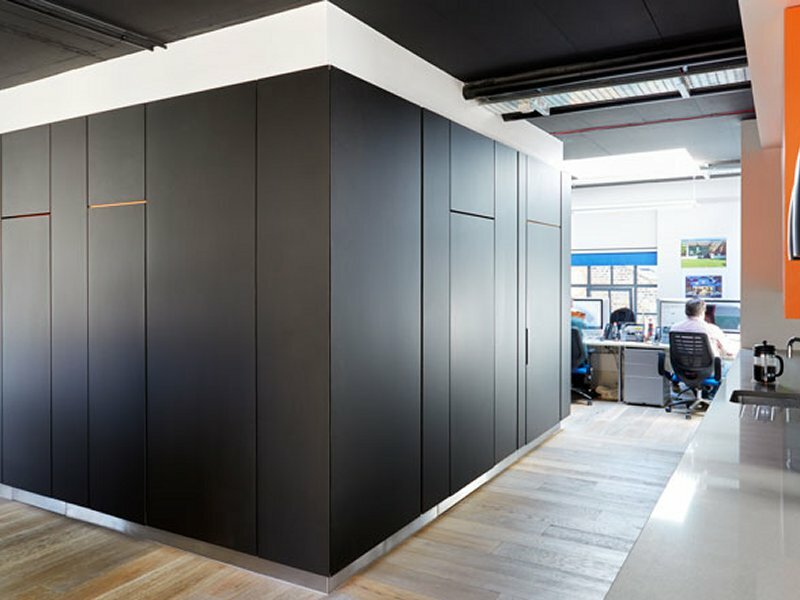 The black core is the only fixed elements of the office, but it works to enclose the meeting room, provide privacy for the drawing office, separates the kitchen from the rest of the space, and encloses necessary amenities (like storage and WCs!). The only other internal 'walls' are the glass screens, which move to close the meeting room, provide an open space for seminars or fully open for events. 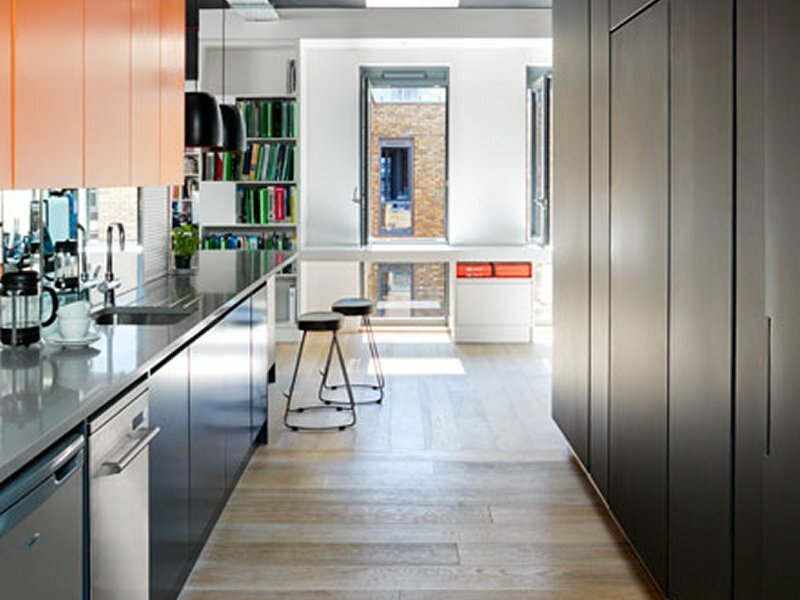 As the two working areas of the office are separate form one another the central kitchen is deliberate to increase connectivity between the two working sides of the office, and is a well used break-out space. There are also a number of flexible spaces for internal catch ups and informal meetings. 14 architect clients! There were a lot of design ideas, and it was a challenge to create something that everyone was happy with, satisfied the brief, and came in on budget. The central core/box. We made it look like a piece of furniture, recessing the top and bottom where it meets the ceiling and floor, and concealing lighting in the top and bottom to make it look like it was not a fixed object. We also applied this principle to the doors, so that they are hidden within. It provided us an opportunity for experimentation - we could try out ideas to showcase our creativity as well as new ideas, products, materials and colours! It also provides our clients to see us at work when they come to visit us.